In honor of national “wear your Lilly day” yesterday, I thought it was only appropriate to post my favorite crop top as of lately. Unfortunately Lilly lovers felt the same this season and the top has since been sold out, but I linked similar below. 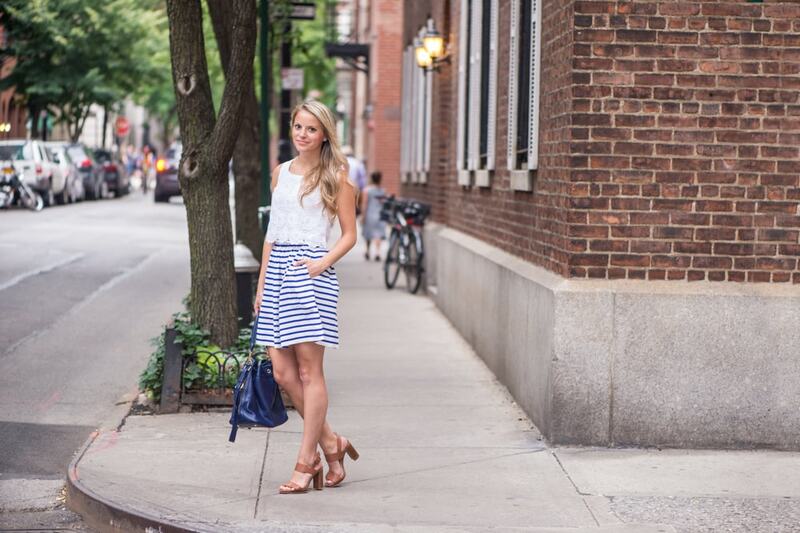 Crop tops, stripes and eyelet details are a few of my favorite things this summer and tend to be on repeat each week. I love mixing and matching pieces, always creating a new look, which is what I did with this top and new nautical stripe skirt from J.Crew…perfect for the 4th of July! Last time this crop top made an appearance was with high-waisted floral shorts which you can see here. I hope you all enjoyed the weekend; mine was filled with family, relaxation and my favorite watermelon beer that my cousin introduced me to called Hell or High Watermelon, so addicting!